I just got back from a trip to visit family and friends. I love traveling, discovering new places and of course, spending time with good company. Good times with good company means good food and a lot of it! We went out to eat almost every day: breakfast, brunch, lunch, dinner, even ice-cream, you name it, we went out for it. So now that we are back home, it’s “cleansing” time. I went to the grocery store and bought a LOT of vegetables. Once I got home and realized how many vegetables I bought, I asked myself: “What am I going to do with all those veggies?” The answer: A soup. One of the “toys” I like to play with in my kitchen is the hand blender. I don’t know why I find it so amusing, but it’s one of those childish little pleasures that make cooking so much fun. For this recipe, I resisted the urge to use my hand blender and used my chef knife instead since the soup is a vegetable stew. 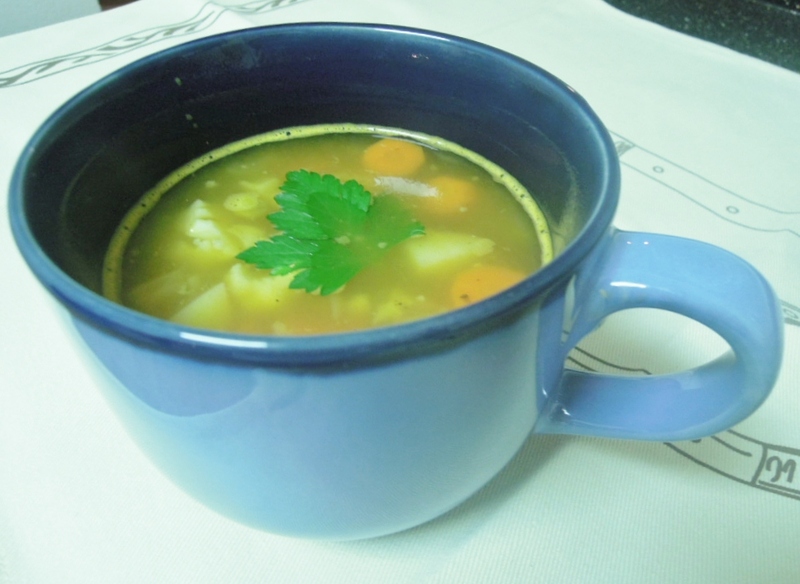 There are countless recipes for soups. 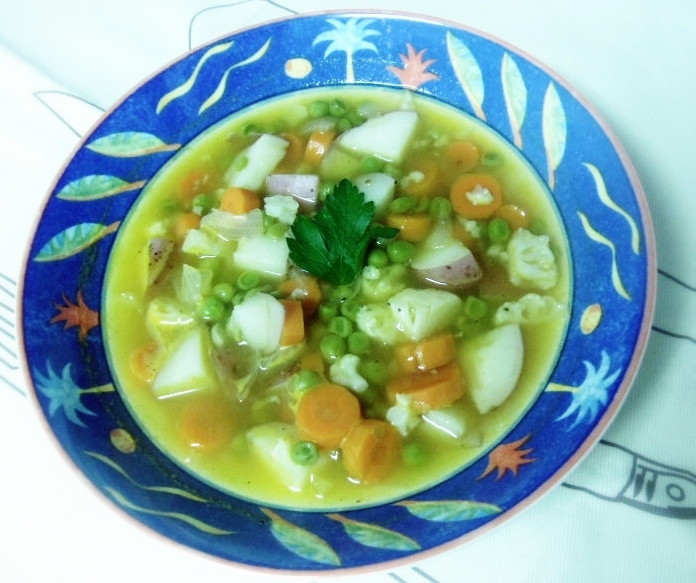 I like this one because it’s easy, healthy and perfect for a cold evening at home. Cut vegetables. Put veggies in a big pot. Add vegetable broth. Add water to cover all veggies. Add salt pepper and cumin. Cook for 30 min or until cooked throughout. Can be served with Cheese bread. Radio Station: Shakira. I’m working on synchronized veggies’ cutting and dancing in my kitchen. Movie to watch after dinner: The Saint (1997). I loved that movie when I was a teenager. Nothing better than a nice soup to warm you up while watching Val Kilmer fall into ice-cold water. Brrr! So good for after Holidays with all the leftovers.